Is an imminent rise in local garbage collection rates a direct result of the drop in global recycling prices? For a while, the demand for recycled materials simply disappeared. Last October, as economies tanked around the world, one local sign of global recession managed to go mostly unnoticed. The "mosquito fleet" — those rickety pickups tricked out with plywood sides and packed with piles of cardboard — began to vanish from East Bay streets. Nicknamed by the waste industry for its relentless peskiness, the mosquito fleet isn't prone to staying gone long. The disappearance lasted only a few weeks before the scavengers showed up again. But their brief absence was indicative of just how bad things got for the recycling sector, which saw the bottom fall out so hard and so fast that even its scrappiest freelancers stayed home. "That crash was stunning even by the standards of the recycling markets, which are accustomed to volatility," said Peter Slote, a recycling specialist for the City of Oakland. In the course of six weeks, the price of used cardboard — the "bellwether grade" of recycled paper commodities, according to Slote — dropped from almost $200 per ton in September to between $30 and $40 per ton in early November. By mid-November, the price of mixed office paper was down 52 percent, newspaper was also down 52 percent, and scrap steel had fallen 80 percent in four months' time. Benicia-based Pacific Rim Recycling had taken to leasing warehouse space in Oakland to store its suddenly unmarketable recyclables from Contra Costa curbsides. Berkeley's Ecology Center, the nonprofit that in 1973 began one of the nation's first curbside recycling programs, found itself having to pay a materials processor to take its commodities for the first time in its history. Not long before, those same commodities, collected from more than 36,000 Berkeley households, had been netting the center around $80,000 each month. A percentage of that then went to the city. Such high returns were as historic as the crash that finally flattened them, Ecology Center Executive Director Martin Bourque explained. "We're expecting prices to come back, but we don't know if they'll ever get back to $200 a ton in the near future. That was in some sense part of the whole bubble of consumerism and borrow-and-spend that was going on in the US." As consumer demand in the West grew, so did China's demand for recycled fiber for use in packaging consumer goods for export. The collapse of American buying power was another part of the equation. "The transportation costs of all of our recyclables that go overseas to Asia are kept extraordinarily low because of the trade imbalance," Bourque explained. "The flow of goods of West to East, from China to the West Coast, means that there has been this surplus of shipping going from the US to China, and that makes it very inexpensive to ship these materials that direction. If we had to pay the prices that they pay from China to the US, our recyclables wouldn't be going to China." Louie Pellegrini, vice president of the private waste-collection company Alameda County Industries, agrees. "We've gotten dependent on China to accept our waste paper and commodities and recyclable commodities because they have so few natural resources over there and their economy was growing." And when the credit crisis hit, China halted nearly all purchases of such commodities — and in some cases even left ships full of recyclables bobbing in market limbo off its coasts. "The total waste stream probably in one week dropped to 20 percent of its value." In addition, a reduction in Chinese shipments to the West means fewer shipping containers arriving in the Port of Oakland, ratcheting up the price of operating in the export-dependent recyclables market at a time when credit was practically frozen. Because of these factors, Pellegrini says ACI must raise rates by about 10 percent in Alameda and San Leandro, where the company provides residential and commercial solid waste and recycling collection. Unlike the Ecology Center, ACI — like most local waste-management companies — accepts all market risk and reaps all reward. "Any of the value we receive from those commodities we use to offset the cost we charge to our customers," Pellegrini offered. Because recycling value represents 10 percent of the revenue stream necessary to cover costs, the company says it must implement the rate increase on July 1. "Labor costs are going to increase beyond the [Consumer Price Index]," Pellegrini argued. "We can no longer absorb those labor increases because the commodity value wasn't there." He noted that ACI never approached San Leandro or Alameda about a rate increase during the 2008 fuel crisis even though fuel prices doubled. "We were able to maintain that because we had commodity prices," he said. Berkeley also is moving to hike rates for garbage services, including the recycling it contracts to the Ecology Center. In an April 21 report to the city council, the city manager proposed increasing residential and commercial rates by about 20 percent in order to generate $4 million, an average increase of $4.20 per residence per month. The city will hold a public hearing on the issue July 7; the rate hike is scheduled to take effect the next day. "Costs have increased since the last rate increase in July 2006," read the report, which offered a number of reasons for the change, including the collapse of commodity prices, recycling contract costs, and labor cost increases. Bourque classifies the 2008 drop in commodities prices "pretty shocking to our system" but rejects arguments like that of ACI. "In most private sector arrangements, the hauler absorbs all the risk and all of the rewards," he said. "And for the last decade that's been all gravy, that's been all reward. ... If prices stayed low for an extended period of time it would genuinely be legitimate to say 'We need to adjust our rates.'" Slote of Oakland says neither of Oakland's contracted private-sector collection companies, Waste Management nor California Waste Solutions, has approached the city about raising rates. "There's no contractual basis for them to say, 'We're not making as much as we used to: We want to raise rates.'" As for hopes that the market will rebound, Pellegrini says prices have recovered somewhat. "It's come back slowly where we're probably at 50 percent of the value for that material that we were enjoying in October of last year. No one has a crystal ball for the long-term outlook; it's all tied to the worldwide economy." Brook Edwards, a recyclables-market analyst and author of industry newsletter The Brown Sheet, agrees that predictions can be difficult. "Not in a million years would we have thought it would all go to hell like it did," he offered. But his research indicates that prices are indeed picking up: Cardboard exports are at $115 to $117 per ton in Northern California, and residents of the East Bay are "sitting in the ideal spot because you have the port, and with China the main manufacturer in the world right now — and they do not have enough raw material — they're going to be knocking on your door every month regardless. ... They don't want to be shipping back empty containers." California also mandates that its cities divert half of its waste from landfills, and individuals from the public, private, and nonprofit sectors say that market prices have not affected this important underlying issue. "People's biggest concern was that they wouldn't be able to get rid of the recyclables at any price," said Tom Padia, recycling director for Alameda County's waste management and recycling agency, StopWaste.org. "And that has not materialized so far. 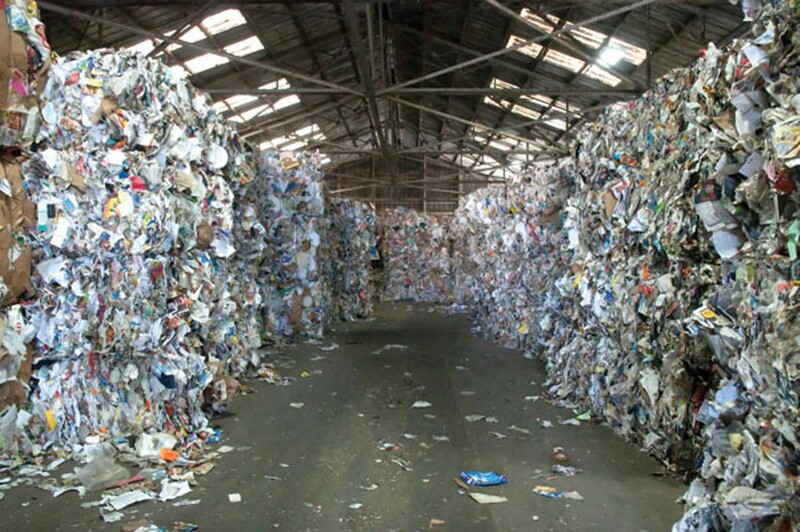 People have been able to move the material into recycling markets. So the last thing we want is for people to get turned off to recycling because they think that it is ending up in the dump. ... It's important in the long run to keep the resource conservation ethic." Ex-Marine Jeff Paterson is on a crusade to help the suspected WikiLeaks source, and has led a campaign that has raised $125,000 for his legal defense. Will Lehman Abandon Oak Knoll? As the company prepares to exit bankruptcy, Oakland's city attorney is fighting to make it honor its commitments.